Better late than sorry, is a phrase we tell the fast and reckless drivers. 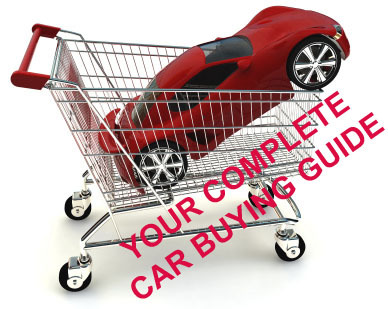 You should also consider following it when you go out to buy a car. This checklist maybe long but is based on personal experiences and may help anyone buying a new car from any seller(Dealer/Broker/Individual). Families(individuals) are also into this business running it from their homes. They buy a car, repair it a bit, and then put its FS Ad in the newspapers. Most of the people believe that it is a family used car and the seller is not a broker or dealer, but that is not true in many cases, so be vigilant anywhere you go and make sure to follow the checklist no matter who the seller is. *Always take your time to take the delivery. Spare plenty of free time- hrs would be OK, as you might need up to hrs alone at the show room and rest for the journey. Even more, if you want to replace the tires and install seat covers, fog lights, deck, speakers, steering cover etc. Take a friend with you and don’t go alone. *The dealer may suddenly call you one fine afternoon that your car would be ready by : 0 pm and you can pick it up and informed that they close at :00 pm. In such a case you tell them that you will be coming tomorrow morning. Otherwise, in excitement, waiting for another day would seem too long you can inform them that you will be coming at around :00 pm the same day to check the car. Let the dealer do the checking, washing and polishing etc. *In case of insurance; you have to coordinate with the insurance surveyor to take the pictures of the car at the showroom to get it insured at the time you take it out of the showroom. You also need time for it as well. *Leasing company usually manages the insurance themselves. *In case your car is coming from some other city. You may need to get the transporters name and truck number if the dealer is lingering on to you by saying that the car lorry has left the company and hasn’t reached yet. They may also say that the car is here, but the papers are not arrived. *Ask for the papers, the dealer wants you to sign for taking the delivery before hand; it lists the items you have already checked. It is the responsibility of the dealer to get them all checked from you but what they do is show you the car and then take you to the waiting areas, and gives you the paper to sign. In this case and you can not check and match every thing from the list. bonnet open when doing this. Some cars have a problem of bad silencer sound. At times, it will take a long time for the dealer to get these fixed. *Check brake lights whether these are working on slight push of the brake paddle, usually it is adjusted crudely and at times works when you hard press the paddle. *Work in pairs, ask your friend to observe independently as well as when listening to sounds one should be in the car and one outside. *Run the A/c at full fan and listen for noises and also whether the rpm is stable as it should not go down. Check cooling. Also check that all the ducts for decent blow/ air flow, change the air flow to foot and screen. The changing mechanism should not be very hard and should have clicks. Few cars have the blow problem. Gas level may need to be checked. *Push the fan/air-con belt to check for tension (looseness/tightness), initially it should be a bit tight. It may create sounds on rainy days or after some use if it is loose initially. It gets lose after initial use of few hundred kilometers. *Check the tires for pressure, visually and also ask whether the tires have been balanced or not. There might be some weights attached with the wheels if wheels need alignments. In case, if you cannot do it to due to wheel cups, check the spare tire for balancing and pressure. For alignment look from a distance the tires should not look too much inclined inside or outside. Check wheel cups for proper fitting, they might come off while driving if not fitted properly. *Place your foot on the tire and push it, to check the play in the wheel. *Check the accelerator for play/ slack in the cable, also check whether the accelerator cable fully opens the throttle. *Check clutch for play and the level at which it engages, it shouldn’t be too low or too high. *Check hand brake clicks, they should not be more than 0 or less than , if so, ask for adjustment. *Check that the owner’s manual, the car warranty card, battery warranty card and car deck manual. The battery and car warranty card must be filled in by the dealer with dates. You may ask for the service manual but you wont get it. *Check the tool kit, jack, jack lever and tire wrench. Check the deck and remote by using the CD and cassette and tuner. Check whether all speakers work and sound has some bass. At times the speaker polarity is not correct and creates a hollow sound. *Push all buttons on the dashboard and check if any button tries to sink in the dash board or if it is lose, ask the dealer to fix it. *Check all interior lights. Door light should work with all doors and also be indicated in the dash. *Check the seats for sliding and reclining motion, there should not be excessive play and the seat should move smoothly. *Try to press down all sides of the car for any sounds. Rock the car side ways and listen to unusual sounds. Be careful not to press too hard or you might end up with a dent on the side. *Check the paint looking at the side of the car while standing in front and back of the car for unusual waves, if you observe any waves, knock on the car at that place and listens the sound; and also knock at a place where the paint looks OK, the sound should be same. *Check the front of the car by sitting in front of it, especially check the distance between the bonnet and the lower grill, it usually requires adjustment. Check distance between the doors. *Check bumpers for adjustment and distance of the bumpers on both sides with the body and wheel hubs. *Check whether the car appears to be lower at one side or tilted at one side. *Check the indicators lever, whether it comes back in normal driving without to much sounds, you cannot do much about it expect to get it greased if required. *Check engine bay closely, the inside of the bonnet should be well fixed there should not be distance between the bonnet sheet and the inside frame. *Check engine oil, power steering oil, brake oil, wind shield washer level and battery level. Always ask to fill in proper fluids if required. Like windshield washer soap not water. *Check gear lever for hardness and play. It would be slightly hard initially. *Ask the dealer to check gear oil. *Check all lights for any cracks and operation, headlight alignment is tough to judge in daylight, in indoors you can try by parking in front of a wall and turning the lights on and checking at high beam, whether the light is appears to be at same place. If the left side light is slightly out wards its OK, it will help you in the night to pick cyclists /pedestrians. *Check the dash board it fit straight i.e. it does not seem to be tilted downwards or it is higher on one side and lower on the other. You can compare this by looking at the position the dash board ends near the doors on both sides. *Check the radiator /air-con condenser grill for any damage marks, like bent fins, ask the dealer to straighten them, you are getting a new car! It should not have any damage marks due to improper fitting handling. *Check the battery for proper fitting, it should not move by the push of hand. Battery terminals should be tight and grease should be applied to them. *Close the doors and see whether they close easily. If all other doors and windows are closed, one door should take some force to close due to air pressure inside. If this is not the case you would have outside smells coming in the car while driving. Ideally when sitting in the car you should feel the air pressure on closing the door. *All doors should feel have a feeling while opening and closing, check for lateral (up/down) play in the door. *Check whether the manual windows close and open with similar force; in power windows the speed of opening and closing should be similar between the windows. Check the rubber on the doors and its proper fitting, lose rubber damage easily. *If you have good terms with the dealer, they should offer you free, floor mats and key chain, etc. *The deal on the security system and rims offered at the dealer is usually much higher than what u can get out on the market, they will however try to catch u by saying that they will give warranty for them as well or they do it daily and our guy is very expert. It’s your own decision but be careful u might be able to save some money if u want to. *There would be no fuel in the car so go the closest fuel station first, you can use high octane for the first time, just for your own satisfaction. *Check steering for any unusual play or hardness both; in case of power steering car check with the engine on and ask your friend to check whether the tire moves with the slightest of steering movement or not. Very slight play is acceptable in non-powered steering cars. The steering should be in the center position and not tilted towards right or left when you are driving straight. *Check the trunk for proper closing and opening; also check whether the trunk lock is working smoothly. Also try to listen to lose parts when closing the trunk the lights/ lock may need to be tightened. *Don’t take the following explanations in most cases from the seller(Dealer/Broker/Individual), especially if you would not like to live with the problem for some time. *We will do the entire thing when you bring it for the first check up. *It will be OK when you use it for a while, however, many things, like gear lever hardness, steering hardness improve with use. *It is like this or it comes as original. Compare with another car, if there is one in the showroom or take someone, who has the same car along you. There must be cars in the workshop if it is a 3S dealership. *Most importantly, remember before you sign the papers for delivery of the car, the car is there’s and they want you to take it. They are at the weak position not you. Don’t show eagerness to get the car early. Just say if it is perfect, I will take it otherwise, I will not.